In the midst of an intense campaign of Russia-bashing by Western governments and the mainstream media, anti-imperialists are understandably reluctant to join in by criticizing the Russian government. At the same time, when that government abuses its authority by trying to stifle progressive dissent, it’s necessary to speak out. That’s the situation in which Ukrainian leftists find themselves today in discussing developments in Crimea. 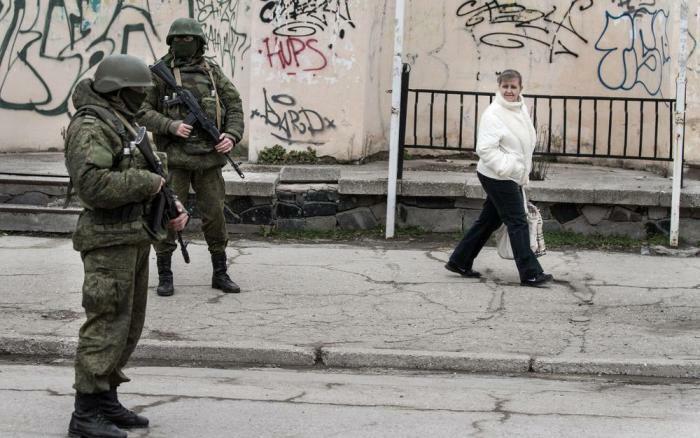 Crimea, you will remember, is the region that Russia was supposed to have “invaded” and stolen from Ukraine after the right-wing Maidan coup in 2014. It’s a peninsula that sits between Ukraine and Russia on the northern coast of the Black Sea. Crimea was actually part of the old Russian Empire, and then the Russian Republic of the Soviet Union. Its people are predominantly ethnic Russian and have strong cultural ties to Russia. Crimea would still have been part of Russia if Soviet Premier Nikita Khrushchev hadn’t administratively transferred it to Ukraine back in 1954, a move deeply resented by most Crimeans. 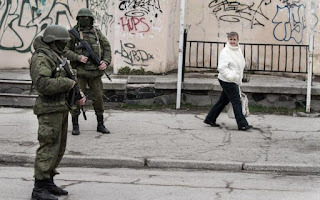 After the 2014 coup, which was accomplished with the support of neo-Nazi paramilitary organizations, and after the new U.S.-backed government in Kiev banned the use of the Russian language anywhere in Ukraine, the Crimean people organized a referendum to decide if they should stay with Ukraine or be reunited with Russia. The vote was overwhelmingly for reunification. If there was an invasion, it was unique in human history: not a single person died. Given this history, it is extremely unfortunate that the Russian government has seen fit to open a crackdown on leftists in Crimea. Political activists there are reporting that three Marxists and four anarchists have been subject to searches by Russian authorities. Two were arrested and sentenced to jail terms. Bolshakov was not detained, but on Feb. 7 he was charged with “public calls for extremism, with and without use of the Internet, and in “inciting hatred” of the Terek Cossacks ethnic group. On Feb. 1, Yevgeny Karakashev, a local anarchist, was detained and reportedly beaten in the city of Yevpatoria. A week later he was charged with “inciting hatred or enmity” and making “public calls for terrorism through the Internet.” He is currently being held in the local pre-trial detention center. On March 1, in the city of Sevastopol, the largest city on the Crimean Peninsula and a major Black Sea port, five local activists were searched: Marxists Igor Panyuta and Ivan Markov, and anarchists Alexey Shestakovich, Alexey Prisyazhnyuk and Artyom Vorobyev. Markov and Shestakovich were detained, and the Sevastopol court found them guilty of producing and distributing “extremist” materials. Markov was sentenced to 10 days in jail and Shestakovych to 11. Markov was held in the temporary detention facility in Sevastopol, but appealed his conviction to the city court. On March 8 the court ruled there had been no grounds for his arrest, and he was set free. When the officers questioned him about a black-and-red anarcho-syndicalist flag they found in his apartment, he explained that “The black color is for freedom and the red color is for communism.” For that answer, he got punched. The officers then put a cellophane bag over his head, wrenched his hands and led him out to a bus, where they knocked him to the floor. “They put the bag on my head, the air ran out and I began to suffocate,” he wrote on Facebook. “I tried to breathe and they tightened the grasp even more. So 10 or 20 minutes of a road had passed. And they raised my cuffed hands behind, wringing them out. They say to me: ‘Scream: ‘I am an animal!’’ I scream – they let go. On the way to the police station, he said, he was beaten on the legs and head. At the station he was handed over to a policeman, who recorded evidence about the beating in the detention protocol. Later that day Shestakovych was sentenced to 11 days detention by the Leninsky District Court of Sevastopol, for posting the songs “Kill the Cosmonauts” and “Synagogue” by the Russian punk rock group “The Ensemble of Christ the Savior and the Mother Damp Land,” which is included in a list of extremist materials of the Ministry of Justice. As for Panyuta, Prisyazhnyuk and Vorobyev, the three activists said the law enforcement agencies arrived for the searches with automatic weapons, acting rudely, and removed all computers, mobile phones, Wi-Fi routers and flash drives. The officials also seized paper archives going back 20 years. The seized materials are apparently being actively studied, and so one can expect new arbitrary detentions and lawsuits. This was what happened with Valery Bolshakov. Shestakovich had posted the text of an application for a rally on his page on social networks. (4) In this media version, the searches and arrests were held to prevent the rally. Russian state securities then creatively reworked this information and attributed to all the search targets the intention to foment unrest on March 18, the day presidential elections are scheduled to be held in Russia. Crimean left activists need your solidarity! >>This article is reprinted from the discussion list of the United National Antiwar Coalition (UNAC). Yuri Shakhin is a Ukrainian Marxist activist. Phil Wilayto is editor of The Virginia Defender newspaper and coordinator of the Odessa Solidarity Campaign. He can be reached at DefendersFJE@hotmail.com.